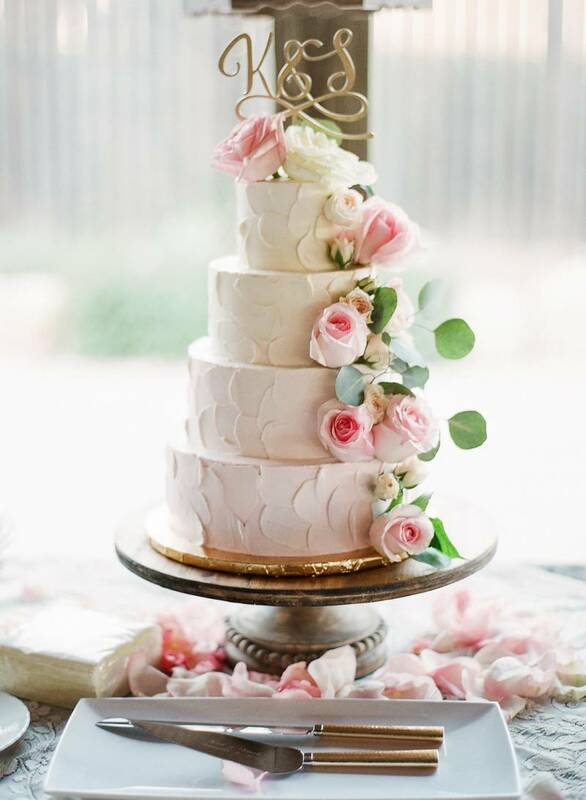 This Gruene Estate New Braunfels wedding is rustic elegance at its finest! 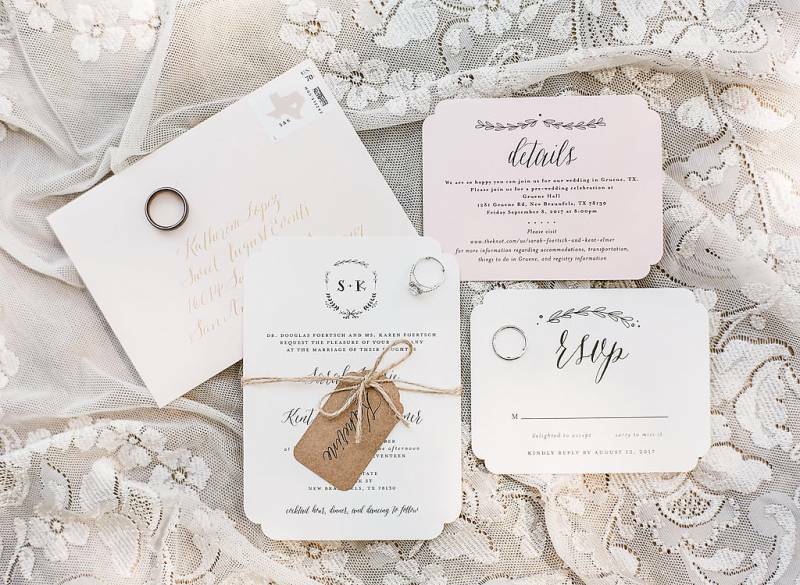 If you're a bride looking to put on a sophisticated affair with touches of Texas rustic charm, then you just found your wedding blueprint. 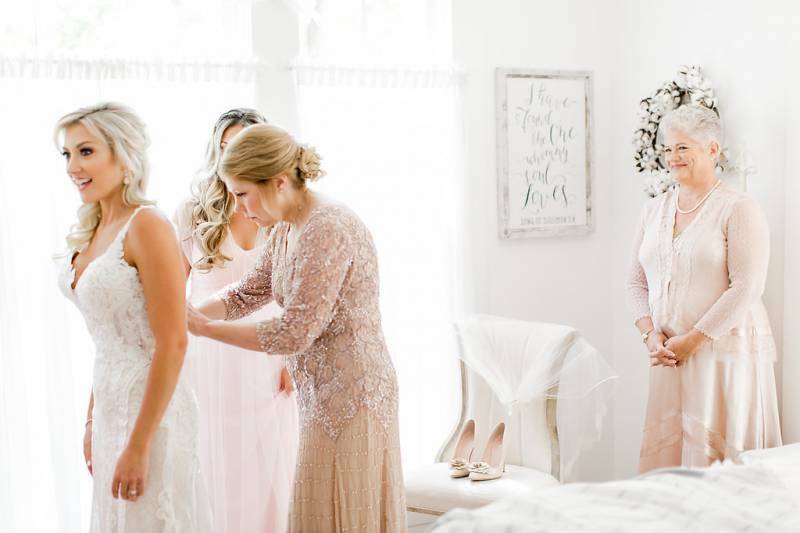 Let's start with the bride--she looks absolutely breathtaking in her lace, open-back wedding dress! 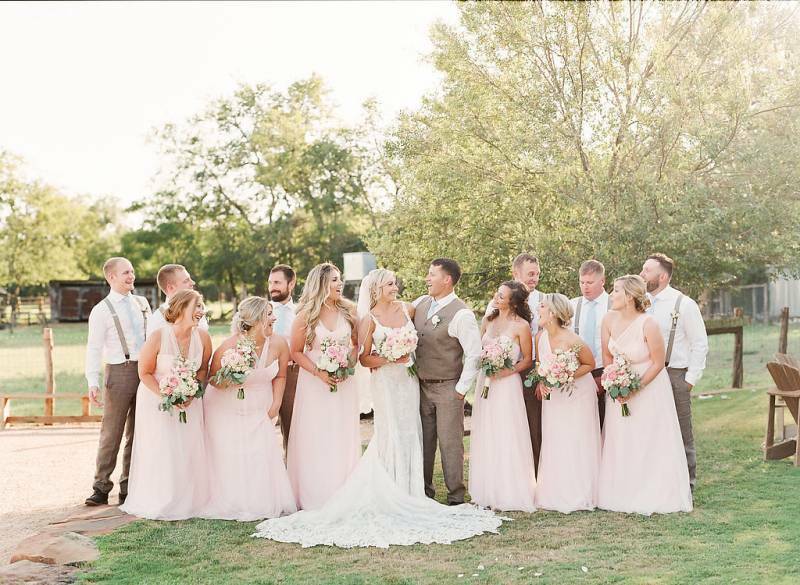 Add in the groomsmen in their tan suits and the bridesmaids blush dresses and you've got the perfect bridal party fashion. 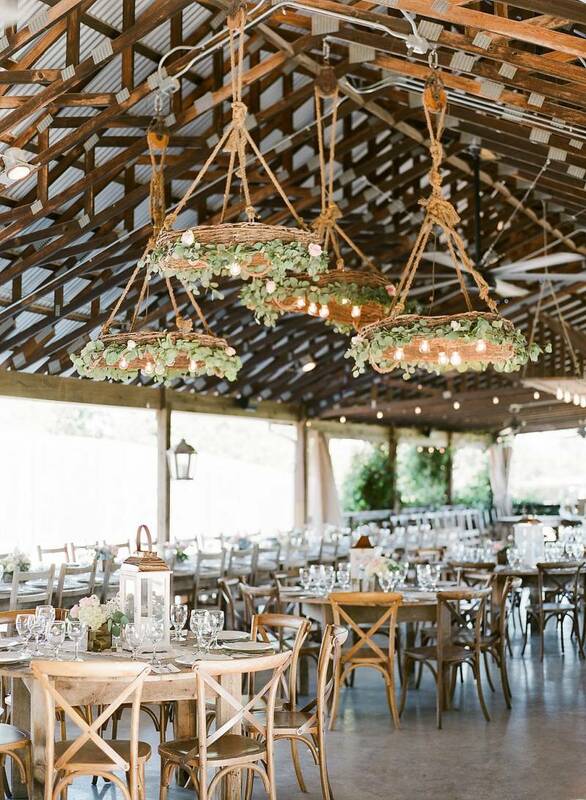 The Gruene Estate provided a stunning backdrop for all of the elegant, rustic details. 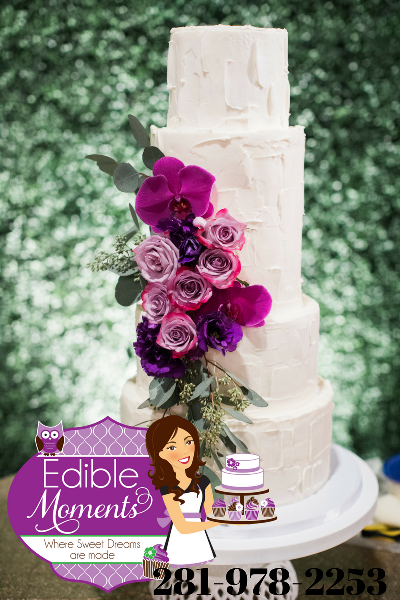 From the wooden tables to the metallic table numbers, no detail was overlooked to make this wedding a scene straight out of a fairytale. Mint Photography captured all of these amazing images and there's even more to devour in the gallery. 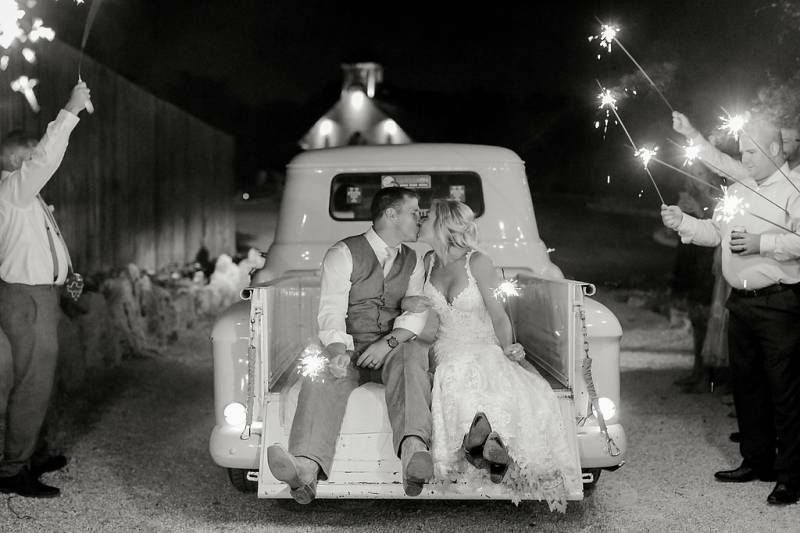 From Gruene Estate...Sarah and Kent live in Chicago, but chose to get married in Gruene, Texas. 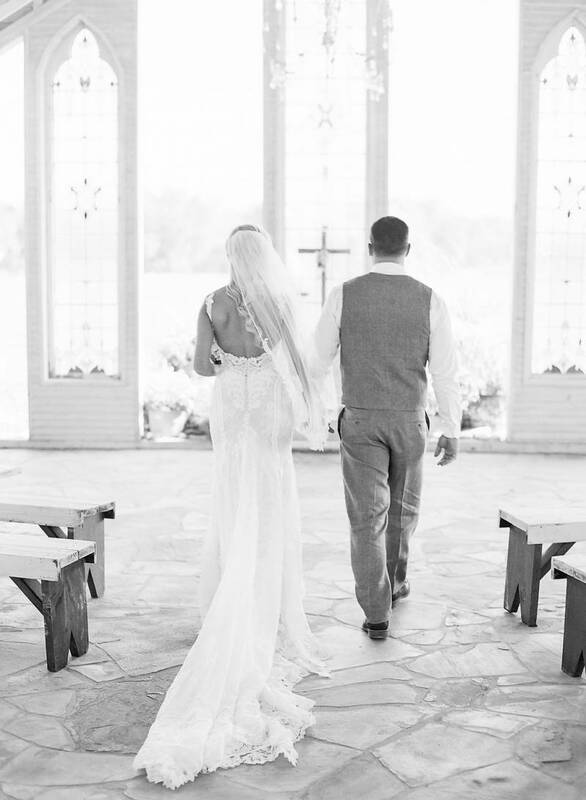 The town of Gruene is significant to them, because this is where the groom's mom and dad spent a lot of time on vacation with their family prior to the groom's father passing away. 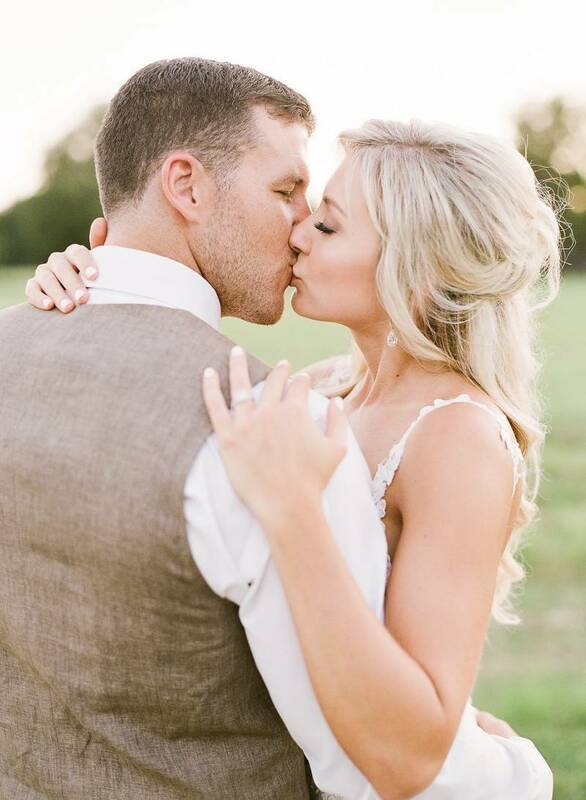 The inspiration for their day came from them living in Chicago but honoring their Texas roots. 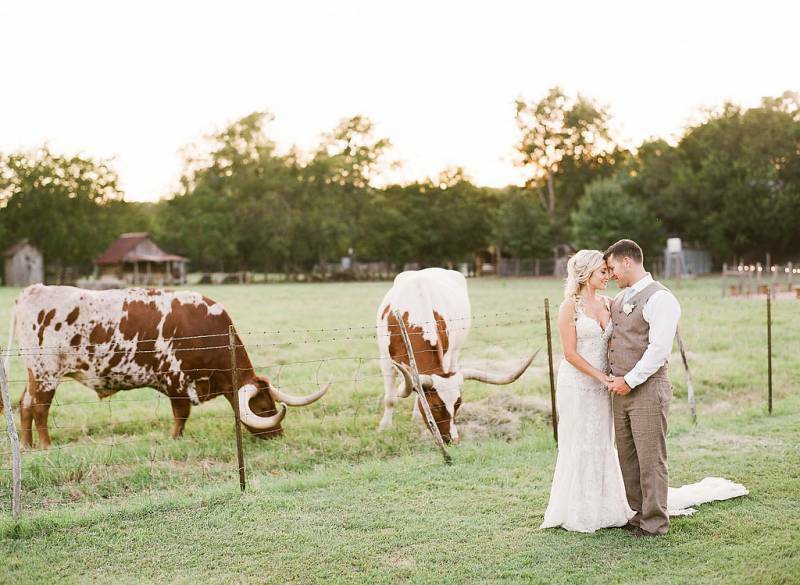 They wanted a stylish and sophisticated wedding that represented their "city side", but also something rustic and down to earth that represented their Texas roots.